BEL, a world leader in household brands of cheese, migrated its entire IT systems to the latest versions of Windows and Office. This project entitled ’New Age’ was accompanied by an ambitious training programme, designed to smooth the transition to the new IT environment. BEL selected CrossKnowledge to accompany this training component which was rolled out to more than 4000 employees in 30 countries. Within the framework of the ’New Age’ project, the team was asked to train all of the group’s employees to use the new communication and collaboration tools, as they moved towards a 100% Microsoft-based environment. The specific nature of the task entailed working around many constraints: different skill-levels, geographically dispersed users with different languages and a tight schedule with a very short window for classroom training. Given the context, it was essential to create a scalable solution for the deployment of this training. Recognised for its expertise in managing blended learning projects, CrossKnowledge was the obvious choice of partner and put its full range of technologies on offer in order to enable to ’New Age’ project. Implement a training platform, acquire a content-development tool to create customised e-learning content, make off-the-shelf desktop training content available and put in place a tool for creating online questionnaires in order capture feedback immediately after training. CrossKnowledge’s SaaS platform allows the entire workforce to access the training path via the Internet, whether in the office or outside. Completely customised to BEL’s visual identity, the portal is available in several languages (English, French, Spanish, German and Portuguese). The desktop e-learning modules can also both be hosted and administered via the platform. To insure maximum uptake, the team sought to develop content specific to BEL’s environment. In order to do this the Mohive solution was used. An ideal solution due to its ease of use (even for those who do not have advanced technical competencies such as developers or graphic designers), Mohive also integrates an automated localisation process (9 languages made available in 4 months). The modules created were easily hosted on the CrossKnowledge platform. Concerned with monitoring training quality throughout deployment, the team opted for CrossKnowledge’s training evaluation solution. As well as the multilingual management offered by this tool, an important aspect of it is the simplicity of putting evaluations in place globally, without creating paperwork for those managing the project. Providing each learner with an individualised training space where they are able to locate their training content as well as useful information, a FAQ section and evaluations. Humanising the training via classroom sessions and reassuring learners by staying close to training needs for their specific environment and in their country. Establishing a communication plan relayed locally by HR and IT departments. The results of the programme are very satisfactory. In fact in a survey carried out with a pilot group, 95% of learners said that they were ’comfortable’ or ’very comfortable’ with their new environment. The Bel Group is one of the worldwide leaders in branded cheese. With a wide range of brands internationally available which includes The Laughing Cow®, Mini Babybel®, Kiri®, Leerdammer® and Boursin® as well as about twenty other local brands, the company achieved a turnover of 2.5 billion Euros in 2011. More than 11,400 employees within 30 subsidiaries around the world contribute to the Group’s success. 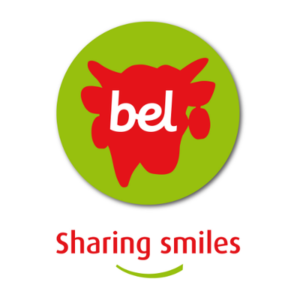 Bel’s products are made in 27 production sites and distributed in more than 120 countries.